The Janssen Pharmaceutical Companies of Johnson & Johnson today announced the U.S. Food and Drug Administration (FDA) has approved SYMTUZATM, the first and only complete, darunavir-based single-tablet regimen (STR) for the treatment of human immunodeficiency virus type 1 (HIV-1) in treatment-naïve and certain virologically suppressed adults. SYMTUZATM combines the proven high barrier to resistance of darunavir with a formulation designed for improved tolerability and the convenience of an STR. SYMTUZATM has a Boxed Warning regarding the risk of post-treatment acute exacerbation of hepatitis B. See below for Important Safety Information. “As clinicians, we may not always have the full picture of a patient’s health or their risk for developing resistance when making treatment decisions. In key Phase 3 clinical trials, SYMTUZATM successfully treated those who were starting therapy, as well as those who were stably suppressed on antiretroviral (ARV) therapy – including patients with more complex treatment histories or previous virologic failure – demonstrating its potential as an important new treatment option for a wide variety of patients,” said Joseph Eron, M.D., Professor of Medicine and Director, Clinical Core, University of North Carolina Center for AIDS Research, Chapel Hill, N.C. The U.S. Department of Health and Human Services guidelines1 recommend darunavir-based therapies for treatment-naïve patients in certain clinical situations, including when a person may have uncertain adherence or when ARV treatment should be initiated before resistance test results are available. “Many people living with HIV struggle to adhere to their medication, which can lead to the development of drug resistance and potentially cause their medication – or even an entire class of medications – to stop working,” continued Dr. Eron. SYMTUZATM received FDA approval based on data from two 48-week, non-inferiority, pivotal Phase 3 studies that assessed the safety and efficacy of SYMTUZATM versus a control regimen in adults with no prior ARV history (AMBER) and in virologically suppressed adults (EMERALD). Results from both trials demonstrated that SYMTUZATM was effective and well-tolerated, with up to 95 percent achieving or maintaining virologic suppression. AMBER compared SYMTUZATM to darunavir/cobicistat (D/C) plus emtricitabine/tenofovir disoproxil fumarate (F/TDF). The results, presented at the 16th European AIDS Conference in October 2017, demonstrated similar viral suppression rates between the darunavir-based STR vs. control (91.4% vs 88.4% respectively) and low virologic failure rates at 48 weeks. SYMTUZATM also showed less bone loss (in a sub-study) and a significant improvement in markers of renal function versus control. The long-term clinical significance of these bone mineral density (BMD) changes is not known. Overall, SYMTUZATM was well-tolerated, with fewer discontinuations due to an adverse event (AE; 2% vs. 4%) versus control, only one grade 3 adverse reaction and no grade 4 adverse reactions. The most frequent adverse reactions reported in ≥more or equal than 2% of subjects were diarrhea, rash, nausea, fatigue, headache, abdominal discomfort and flatulence. The EMERALD study, presented at IDWeek in October 2017, compared SYMTUZATM to continuing treatment with a boosted protease inhibitor (bPI) plus emtricitabine and TDF. The trial found there were low virologic failure rates and high virologic suppression rates according to FDA Snapshot analysis at Week 48, with no patients discontinuing the study due to virologic failure. Switching to SYMTUZATM demonstrated improvement in BMD (in a sub-study) and a significant improvement in some markers of renal function versus control. The long-term clinical significance of these BMD changes is not known. The safety profile was similar to that of those patients with no prior ARV treatment history, and the percentage of participants who discontinued due to AEs, regardless of severity, was 1%. The recommended dosage of SYMTUZATM is one tablet taken once-daily with food. SYMTUZATM is not recommended in patients with creatinine clearance below 30 mL per minute or those with severe hepatic impairment. According to the Prescribing Information, prior to or when initiating treatment with SYMTUZATM, patients should be tested for hepatitis B virus (HBV) infection and renal function, and renal function should be monitored as clinically appropriate during therapy. See below for Important Safety Information. SYMTUZATM has also been approved by the European Commission (EC) and Health Canada for the treatment of HIV-1 infection in adults and adolescents aged 12 years and older with body weight of at least 40 kg. European approval allows Janssen to market SYMTUZATM in all member states of the European Union and the European Economic Area. Janssen plans additional regulatory filings in other markets worldwide, and additional SYMTUZATM data, including data from an ongoing Phase 3 rapid initiation study (DIAMOND) will be presented at AIDS 2018 in Amsterdam, The Netherlands in late July. Cobicistat, emtricitabine and tenofovir alafenamide are from Gilead Sciences, Inc.
Full Prescribing Information is available here. To learn more about Janssen’s commitment to the prevention and treatment of HIV, please visit jnj.com/HIV. Cobicistat, emtricitabine and TAF are from Gilead Sciences, Inc. On December 23, 2014, Janssen and Gilead Sciences Inc. amended a licensing agreement for the development and commercialization of a once-daily, darunavir-based STR including Gilead’s TAF, emtricitabine and cobicistat. Under the terms of the agreement, Janssen and its affiliates are responsible for the manufacturing, registration, distribution and commercialization of SYMTUZATM worldwide. Worsening of hepatitis B virus infection. Your healthcare provider will test you for hepatitis B virus (HBV) before starting treatment with SYMTUZA™. If you have HBV infection and take SYMTUZATM, your HBV may get worse (flare-up) if you stop taking SYMTUZATM. Do not stop taking SYMTUZA™ without first talking to your healthcare provider. Do not run out of SYMTUZA™. Refill your prescription or talk to your healthcare provider before your SYMTUZA™ is all gone. If you stop taking SYMTUZA™, your healthcare provider will need to check your health often and do blood tests regularly for several months to check your HBV infection or give you a medicine to treat your HBV infection. Tell your healthcare provider about any new or unusual symptoms you may have after you stop taking SYMTUZA™. Change in liver enzymes. People with a history of hepatitis B or C virus infection or who have certain liver enzyme changes may have an increased risk of developing new or worsening liver problems during treatment with SYMTUZA™. Liver problems can also happen during treatment with SYMTUZA™ in people without a history of liver disease. Your healthcare provider may need to do tests to check your liver enzymes before and during treatment with SYMTUZA™. Who should not take SYMTUZATM? Do not take SYMTUZATM with any of the following medicines: alfuzosin, carbamazepine, cisapride, colchicine (if you have liver or kidney problems), dronedarone, elbasvir and grazoprevir, ergot-containing medicines (such as: dihydroergotamine, ergotamine tartrate, methylergonovine), lovastatin or a product that contains lovastatin, lurasidone, oral midazolam (when taken by mouth), phenobarbital, phenytoin, pimozide, ranolazine, rifampin, St. John’s wort (Hypericum perforatum) or a product that contains St. John’s wort, sildenafil when used for pulmonary arterial hypertension (PAH), simvastatin or a product that contains simvastatin, or triazolam. Serious problems can happen if you take any of these medicines with SYMTUZATM. are pregnant (if you become pregnant while taking SYMTUZATM), or plan to become pregnant. It is unknown if SYMTUZATM will harm your unborn baby. SYMTUZA™ should not be used during pregnancy. are breastfeeding or plan to breastfeed. Do not breastfeed if you take SYMTUZA™. Tell your healthcare provider about all the medicines you take, including prescription and over-the-counter medicines, vitamins, and herbal supplements. Some medicines interact with SYMTUZATM. Keep a list of your medicines to show your healthcare provider and pharmacist. Do not start taking a new medicine without telling your healthcare provider. How should I take SYMTUZA™?• Take SYMTUZA™ 1 time a day with food. Your healthcare provider should do blood and urine tests to check your kidneys before you start and while you are taking SYMTUZA™. Diabetes and high blood sugar (hyperglycemia). Some people who take protease inhibitors including SYMTUZA™ can get high blood sugar, develop diabetes, or your diabetes can get worse. Tell your healthcare provider if you notice an increase in thirst or if you start urinating more often while taking SYMTUZA™. Increased bleeding can occur in people with hemophilia who are taking SYMTUZA™. The most common side effects of SYMTUZA™ are: Diarrhea, rash, nausea, fatigue, headache, stomach problems, and gas. These are not all of the possible side effects of SYMTUZA™. Please see full Product Information, including Boxed Warning for SYMTUZA™. Janssen Therapeutics, Division of Janssen Products, LP will market SYMTUZA™ in the United States. Both Janssen Products, LP and Janssen Pharmaceutica NV are part of the Janssen Pharmaceutical Companies of Johnson & Johnson. This press release contains “forward-looking statements” as defined in the Private Securities Litigation Reform Act of 1995 regarding development and benefits of new treatment options of SYMTUZATM for HIV-1. The reader is cautioned not to rely on these forward-looking statements. These statements are based on current expectations of future events. If underlying assumptions prove inaccurate or known or unknown risks or uncertainties materialize, actual results could vary materially from the expectations and projections of Janssen Therapeutics, Division of Janssen Products, LP, any of the other Janssen Pharmaceutical Companies and/or Johnson & Johnson. Risks and uncertainties include, but are not limited to: challenges and uncertainties inherent in product research and development, including uncertainty of clinical success and obtaining regulatory approvals; uncertainty of commercial success; manufacturing difficulties and delays; competition, including technological advances, new products and patents attained by competitors; challenges to patents; product efficacy or safety concerns resulting in product recalls or regulatory action; changes in behavior and spending patterns of purchasers of health care products and services; changes to applicable laws and regulations, including global health care reforms; and trends toward health care cost containment. A further list and descriptions of these risks, uncertainties and other factors can be found in Johnson & Johnson’s Annual Report on Form 10-K for the fiscal year ended December 31, 2017, including in the sections captioned “Cautionary Note Regarding Forward-Looking Statements,” and “Item 1A.” Risk Factors, and in the company’s subsequent Quarterly Reports on Form 10-Q and other filings with the Securities and Exchange Commission. 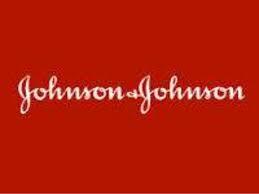 Copies of these filings are available online at www.sec.gov, www.jnj.com or on request from Johnson & Johnson. Neither the Janssen Pharmaceutical Companies nor Johnson & Johnson undertakes to update any forward-looking statement as a result of new information or future events or developments.